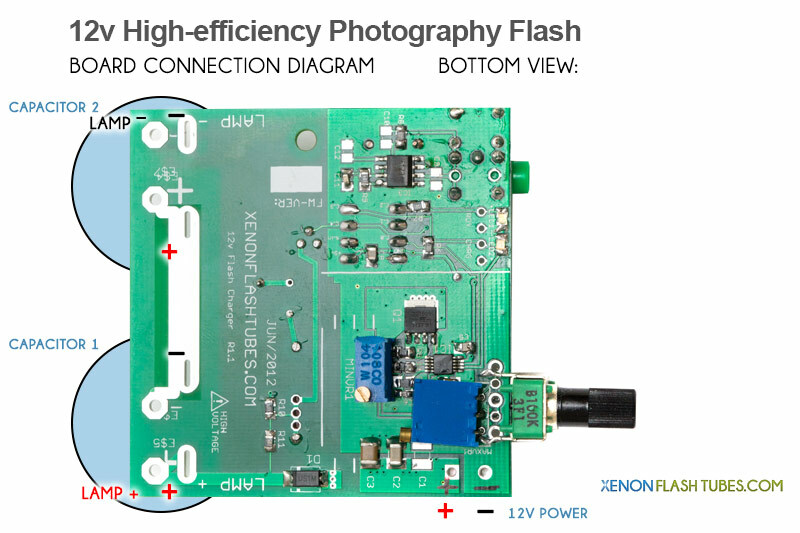 This module is a Portable, variable-power Photography flash. 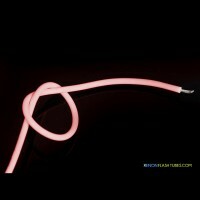 it powers using a 12v source like a wall adapter or a car battery for on-location photography. A 3.5mm sync socket is included to allow triggering by a sync cord or wireless trigger. 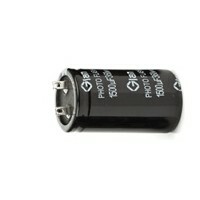 FAST : Charges a 500uF capacitor to 300v in just 0.6s ! Or 120 Joules in only 3.4s . This is about 3-4 times FASTER than a typical on-camera Flashgun. 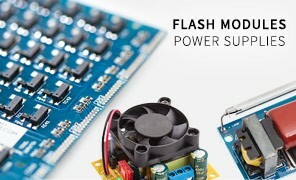 POWERFUL, HIGH EFFICIENCY: The module is capable of charging capacitors of any size, thus can power a high-energy flash unit. The high-efficiency technology used in this circuit will both save you lots of battery power (more shots), and allow cooler operation, without any worry about excessive temperatures. CUSTOMIZABLE: You can choose the right capacitors according to the power you need, so you don't end up paying for twice the capacitance you actually use. Output voltage range can also be customized using the on-board trimmers, you could set the minimum and maximum allowable voltages for adapting to a specific flash tube, for example. 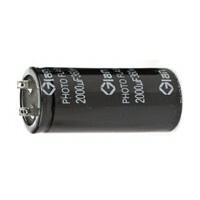 On-location / Outdoor flash system: Running on 12v, you can easily use it anywhere thanks to your car's battery, or even much smaller sized batteries like LiPo or other Lithium batteries. At any time you could also use it with a simple 12v wall adapter for unlimited indoor use. 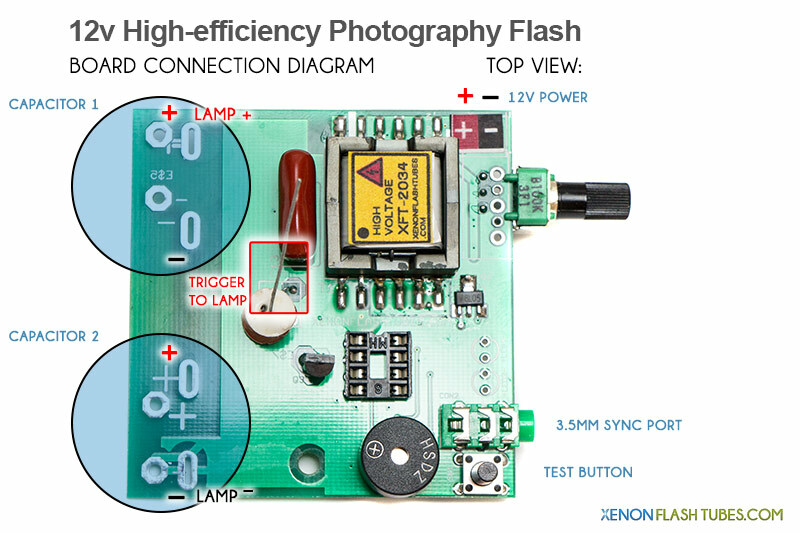 It is definitely the ideal Photobooth flash module. Imagine deploying and operating a portable photo-booth without the need for mains power ! This module is delivered to you after being professionally assembled and inspected. It has passed the quality control process successfully. Please follow connections polarity and safety directions to ensure good functioning of the module and your personal safety. Thanks for your cooperation ! according to the main potentiometer knob position. 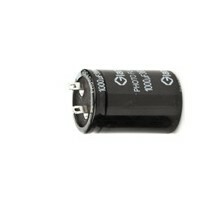 - for example two (2) capacitors in series, rated at least 350v each (total 700v). The voltage range can be adjusted using the blue trimmers on the bottom side of the board - they are labeled: MINVR and MAXVR. Always monitor the output voltage using a voltmeter and make sure you do not exceed the capacitors’ voltage rating. WARNING: This kit involves High Voltage up to 800v which is stored in big capacitors even long after turning the unit off. THIS VOLTAGE CAN CAUSE SEVERE DAMAGE AND INJURY. Never touch any of the components and always discharge the capacitor before working on it. Always keep in a well insulated project enclosure. According to the following scheme, place the capacitors on the top side of the board, following the right polarity. Locate the trigger coil, and connect its output (flying wire) to the lamp trigger terminal. This wire should be clipped short, and well insulated. This trace sould be filled with a thick layer of solder, as the capacitors will discharge into the lamp through this path.